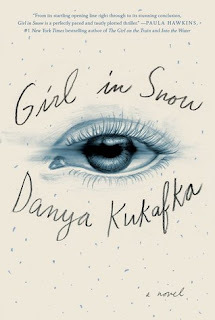 Girl in Snow by Danya Kukafka is a recommended murder mystery, highly for the right reader, that focuses on character studies of three individuals. The body of 15-year-old Lucinda Hayes, a popular high school student, is discovered on a playground in Broomsville, a quiet Colorado town. 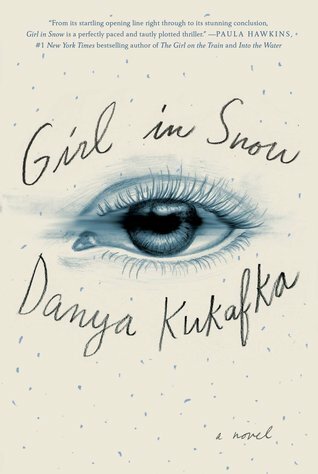 Girl in Snow follows the investigation through three different characters: Cameron, Jade, and Russ. Ninth-grader Cameron Whitley was obsessed with Lucinda and stalked her, often watching her house at night. He also did numerous drawings of her. Did Cameron's love for her somehow result in violence? Jade Dixon-Burns, an overweight 16-year-old with acne and an abusive mother, hated Lucinda for stealing her babysitting job and her best friend. Russ Fletcher is a local police officer who is on the case. He promised his former disgraced partner, Cameron's missing dad, that he'd look out for Cameron, but he is unsure if this is possible. Russ's ex-con brother-in-law, Ivan, is the overnight janitor at the school and also a suspect. Chapters in the novel switch between these three narrators and the bulk of the action is set over a three day period. The murder mystery part of the novel is downplayed in favor of the careful scrutiny of the thoughts, actions, and past events in the lives of Cameron, Jade, and Russ, whether it all relates to the mystery or not. This makes for an interesting character study but becomes tedious as solving the murder mystery is exponentially drawn out for far too long in the plot. It almost felt like the end result was an afterthought. There is also a slight YA feel to the novel, perhaps because of the focus inside the heads of two teens. Cameron's narrative feels dreamy, unfocused, and there are large section of time where he can't remember what happened. Jade's narrative sections also include scenes from plays she is writing based on real life interactions and conversations. She had some big reason's to hate Lucinda and this is fully explored. The end result of focusing on these two teens is that you get a double-portion of teen angst and anxiety, but less murder investigation.